Why are some companies more successful than others? Why do they manage to have a large number of loyal people loving their products? Is it because their products are just great? Is it because they are the only one innovating? What about all the other successful companies that manage to create value for their brand? It turns out there is a pattern they follow. If you analyze the way successful companies engage with their customers, you'll notice that they always start by explaining their vision and values, instead of talking about their product. I call it the "why" factor. Think of Apple. They could tell you how their product has the best value proposition, but no, their marketing message is "think different". By doing this, they tell you why they exist and they engage with people who have the same belief, even before talking about a particular product. Imagine if Apple were to tell you: "We make the best mobile phones, they are beautifully designed, we think you should buy them". Would that have a positive effect on you? The answer is no, since this is clearly not inspiring. Now, this is how Apple actually does it: "We believe people need better products, we constantly challenge the status quo, the way we do that is by making our products beautifully designed, we happen to have built an amazing phone. Do you want it?" This is why we are all comfortable buying products from Apple. We buy their mobile phones, we buy their computers, and so forth. The funny thing is that their competitors are all making great, perhaps even better, products but we are more comfortable buying from Apple. This is because people don't buy "what" you do, they buy "why" you do it. The thing is that your goal should be to do business with people who connect with the "why" you are doing something, instead of "what" you are doing. By doing so, you are sure to do business with people who share the same values, and this creates a powerful bond. This is not just my opinion; this is due to our biology. Different parts of our brains are responsible for our behavior. The limbic brain is responsible for feelings such as trust and loyalty. It is also responsible for our decision-making processes. 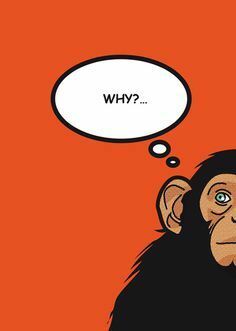 It turns out that the limbic brain is sensitive to the "why" and not to the "what". This means that if you want to influence people's decisions, such as making them buy your products, you have to talk to their limbic brain with a "why" message. This is particularly important for startups, since they need to find loyal early adopters who will act as ambassadors. Early adopters are the ones that generate the word-of-mouth process that startups desperately need in their early stages. The same concept applies to hiring. You don't want to hire people just because they have the right skills because they would work for the money alone. You want to hire people who believe in "why" you are making this product (or service), since this will make them loyal to your cause. They will work extra hours for free if they love what they do. Now, just remember that it is impossible to make everybody love you (or your product). The only way to be successful in life (and in business) is by finding those people who believe in the message of "why" you do things. The point that I want to make here is that you always have to talk about what you believe first, since by doing so, you'll attract people who have the same belief, and those people are more likely to like you or to buy your products.